NOTE: The 2018/2019 Geo Bee club was not held at DES. There were some troubles getting a chairperson up and running in time for the national Bee’s deadlines. If you’d like to offer your help as leader, or helper for next school year, contact any member of the PTO Executive Board to let them know. DES is pleased to present the annual National Geographic Geography Bee. If you are interested in learning more about your world, you will want to join this group for a fun and educational study group. The group will research and explore the seven continents, the five oceans, and other cool world facts. For more information on the Geo Bee, visit http://www.nationalgeographic.com/geobee/. 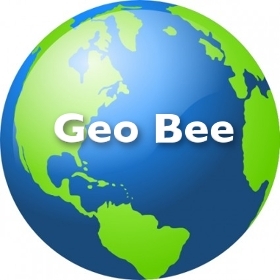 All 4th & 5th grade students are eligible to participate in the oral Geo Bee competition. The winner of this competition will take a written test that will be submitted to the State competition. A school employee will conduct both of these (date TBD). Parents are welcome to attend this event which will take place during school hours. The winner of the state championship is invited to compete nationally in Washington. If you are interested in geography and “what’s going on in the world,” we welcome your participation. Please note that while we hope to make these study sessions fun, student codes of conduct still apply. Study sessions will be held weekly in the Media Center. All 4th & 5th grade DES students are welcome to participate. Registration and a permission slip will be required. We will also be looking for a parent helper each week to keep order and at least one substitute geo bee coach for one session.